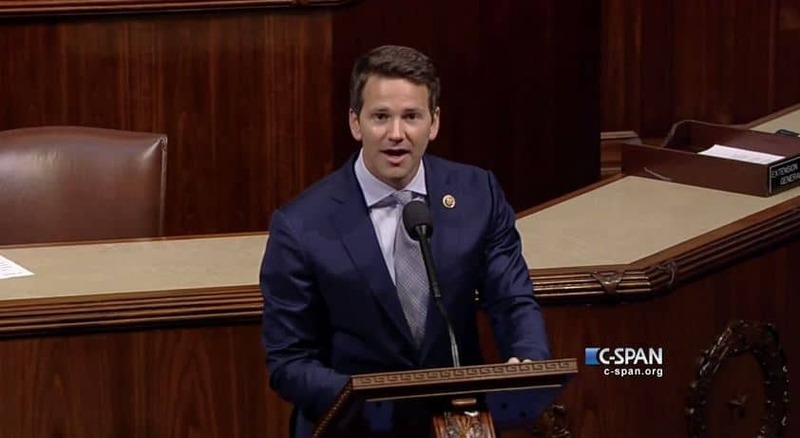 Delivering his farewell address to Congress today, Rep. Aaron Schock praised the GOP majority in the House, compared himself to Abraham Lincoln, reflected back on his six years on the Hill, apologized to those he "let down," and, like Conchita Wurst herself, promised to rise from the ashes like a phoenix. Okay, maybe not that last one. But he did end his speech saying this was the "beginning of a new chapter" for him. Hopefully it'll be a more open and honest chapter. TIME magazine notes Shock delivered his farewell address the same day Downton Abbey announced it would be coming to an end after this upcoming sixth season. Doubtless the Dowager Countess would be pleased. Schock officially resigns from the House on March 31, according to C-SPAN.